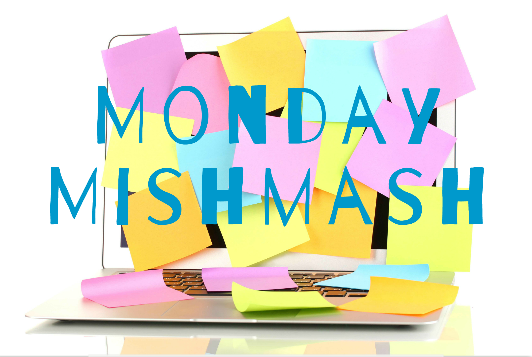 Thanks Kelly Hashway for mishmash Monday. So Mishmash Monday is where you post what’s on your mind. Here is what is on my mind and please feel free to share what is on yours. Okay – the only marketing I will do today. For the Love of Murphy is on sale until the 31st in celebration of St. Patrick’s Day. Go get a $.99 copy before it is too late! Click here. I am neck deep in taxes-for those in the USA, isn’t tax season fun? I am working on a short story for a new anthology. I am giving sneak peeks in my online group Michelle’s Virtual Watercooler. Come join in the fun! I promise it’s fun and once we get 15 people I will do a giveaway. I plan to do giveaways a lot actually. I just finished reading a new novella and need to review it. Problem is I don’t know where to begin or what to write. I liked it for sure, but it wasn’t what I had hopped. I hate that. Over the weekend I watched Into the Woods and loved it – until the end. WTF. Seriously, unless you are Disney I don’t think you can get away with endings like that. Bleck. Anyone else see it? What were your thoughts? SPRINGS IT FINALLY HERE in Denver that is. Thank goodness. I think I am done with snow! Now to you, that is enough from me for one day. What is on your mind today? Free story. Get your FREE story. You’ve got it by now right? September is full of free reads in honor of Roane Publishing’s first birthday. Check out this weeks free reads. Check out new to you authors! Happy reading! Feel free to share the love with the author by commenting or reposting this awesome opportunity. Smashword links are below or get them through Roane Publishing. Roane Publishing is turning one this month and to celebrate, we’re giving away free eBooks!All you have to do is come by our Free Reads page each Monday and download the stories we are offering that week. Simple and straightforward, just the way we like it.The best part? Check out this weeks free reads. Don’t forget that there are 4 others, one is mine, from the 1st and 8th. Check out new to you authors! You can go wrong with these two from today. Happy reading! Feel free to share the love with the author by commenting or reposting this awesome opportunity. Either story can be downloaded from our Free Reads page right now, and both are available in ePUB, MOBI, and PDF formats. Happy Reading from all of us at Roane Publishing!! That’s right. You heard me. Free stories all month long! Yours truly is part of the celebration of Roane’s first birthday. So come check out my story from September 1st. Then don’t forget to come back every Monday for the month. That’s right. You heard me. Free stories all month long! Yours truly is part of the celebration of Roane’s first birthday. So come check out my story today, September 1st. Then don’t forget to come back every Monday for the month. Either story can be downloaded from our Free Reads page right now, and both are available in ePUB, MOBI, and PDF formats.Happy Reading from all of us at Roane Publishing!! What’s a blog tour? Well, in short it is a virtual book tour. Questions will be answered. Excerpts will be shared. In the end you can sort of feel like a groupie! Just kidding, well, sort of. Here’s where you can cyber stalk the authors of For the Love of Murphy, a sweet romance anthology. Don’t forget about the giveaway. It’s been awhile since I wrote about what I’ve learned along the way to publication. I thought it was time to start again. If you are reading this, you are already a step ahead of a lot of authors or writers. There are those that think that they are too good to market themselves. There are the crazy ideas that everyone gets large amounts of marketing from publishers. Well, reality? There is more money out there from the big 6 for marketing, but not all authors are treated equal. And even so, the odds of getting picked up at a big house are small, at least right away. I know a lot of talented authors that have started as small press and moved to a big house after a few years. so you might be at a small press for sometime. Or maybe you aren’t anywhere yet, but you want an agent. Before you hit it big, or even before you get published, it’s great to start creating a platform. Agents love to see a presence established. Publishers love to see books sell. Sometimes your first book is too late to start finding social networks to market. Start to follow authors or writers you like. Start to comment on their blogs. Become a respectful cyber stalker. Yes, this is one of those times when stalking is encouraged. Don’t go too crazy though. Maybe start your own blog. Maybe start with something you know. I started my blog about two years before I actually got published, and I started by writing about the mistakes I was making. I met some amazing authors thorough blogging. I actually found my first pub contract through another author’s recommendations. The moral is, it’s never too early to start getting your name out there. even if you don’t think you have a lot to offer there are others put there willing to help. So start small and grow from there. Are there tricks to getting lots of followers and likes? I suppose so, but I don’t know in the end how many payoff. Perhaps some experienced bloggers put there have some advice? Join in the fun. For the Love of Murphy releases March 17th and the blog tour is now scheduling! Go here to sign up! In case you missed it, my second short story will be in the For the Love of Murphy anthology! The theme? Sometimes it pays to be unlucky in love and Murphy’s Law of course. How can this not be a fun release! Additionally, anyone who reviews, sign up here. There are lots of perks to be on Roane Publishing’s review team, such as free ARCs. Don’t know what a blog tour is? Well there’s a little info here. I’m having one of those days. The kind of day where I feel the need to self promote! Winter’s Sweet Kiss paper copy is available for pre-order! 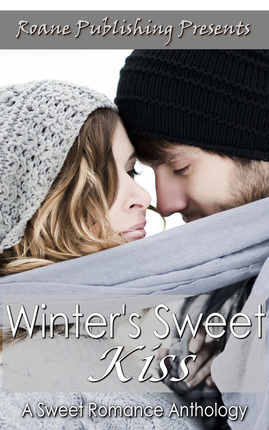 If you missed it, Winter’s Sweet Kiss is an anthology with my story, One in a Million Snowflakes. Who’s excited? ARCs (Advanced reader copies) are out too! December 16th is the official release and I can’t wait. Okay. I am done. If you or anyone you know wants to partake in reviewing books, here’s your chance! Roane Publishing is looking for reviewers! Sign up! If you want to sign up and don’t think your blog has a big enough following, mention me and the requirement is waved! 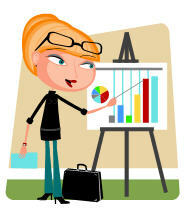 Drive traffic to your blog by helping promote a 5 author anthology. I am one of the authors! Release date is Dec 16th & tour runs for 2 weeks through the 30th. Not sure what a blog tour is? Well in short, it is a book tour taking place over blogging. In todays digital world, marketing takes on a whole new form! Please don’t hesitate to ask me about this. It is a great opportunity to reach out to more readers.